Posted on January 3, 2018 January 12, 2018 by KeithGPosted in Blog or Die Entries, Contests, Model Spotlight, Sunday Comics, Ted Talks (Author Ted Andes)Tagged ABOLs, AFOLs, Boilerplate Cafe Corner Layouts, Comics, Conventions, Humor, Meta Commentary. So, uh…is Redneck-Set-Modular-Cosplay-BanjoCon based on real events? I can’t wrap my mind around how horrifying that would be to personally experience. As far as cons go, I’ve only had a few mild unpleasant experiences, which differ from the systemic issues that second panel seems to imply. 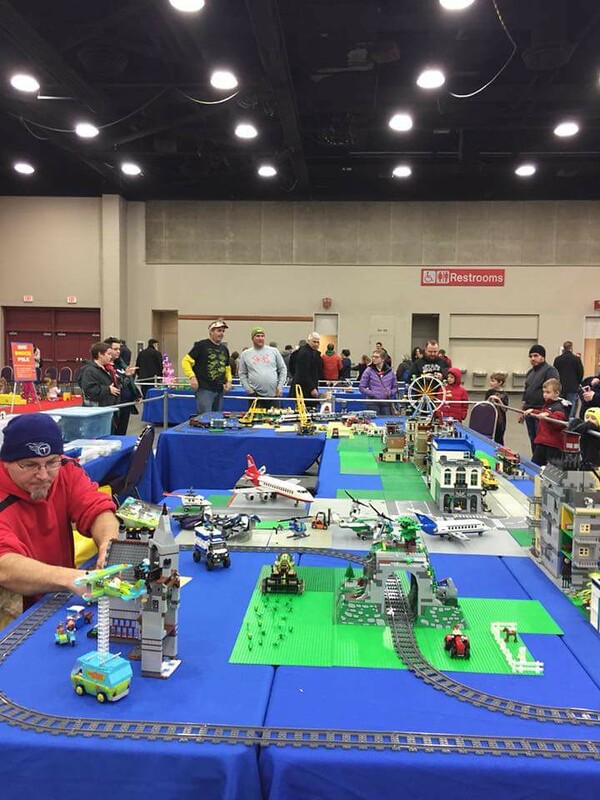 BrickUniverse came to town for the first time last year. This show is basically a traveling expo, plus any local AFOL’s that catch wind of it and want to display. I displayed in that inaugural show. When people noticed that I was local, naturally they reached out and wanted to start up a LUG. Sounds good, right? 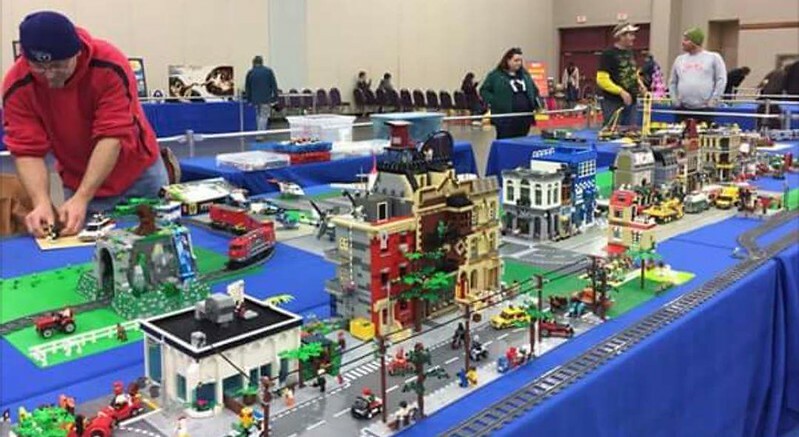 Problem is, the ones with the most interest saw that guy Hoosier Bricks make a big city layout with predominantly LEGO modular sets last year, and what wasn’t was modded ones (it was his first show, if I recall). That’s what they aspire to do as well, and as a LUG no less… They even follow his channel on YouTube. So that’s the gist. The rest of the displayers (75%?) with be bringing all MOC’s, so it’s still not entirely bad. It just is from my point of view, as I feel like I got bait-and-switched when it came to this LUG collab thing. I laid more info down in the comments of Rutherford’s article on forming LUGs. I commented with links, but it is awaiting moderation… while you are waiting, if you check out my recent comments on Rutherford’s “The Brick Schoolhouse” article, that will get you up to speed. Do your LOU-CON “friends” follow your flickr page or The Manifesto? I guess we will find out. Flickr maybe. Manifesto, definitely not… Otherwise they wouldn’t be the kind to think that displaying layouts using mostly LEGO sets is the norm. It would be that trope if they actually saw it. Since they predominantly go to Facebook and YouTube for their LEGO social media fix, I still don’t think they have seen it… the comic didn’t come up over the weekend. When I made the comic, I was so frustrated I didn’t really care. I tried being the “supportive advisor” on what people should display at a con (especially as a “LUG”), over and over, but it was being dismissed. This was more about using a creative outlet to vent out more than anything else. Naturally, I did have other voices supporting my case once at the show. Bryan “BrickWorld” Bonahoom even drove down and made an appearance… and Hoosier Bricks made MOC’s out of the modulars he brought last year. I will say once again that for the overall lack of MOC’s (they still did bring few) they definitely made up for it in enthusiasm. Had at least 20 people sign up to join the local group’s facebook page. They really worked the crowd and were very engaging. For promoting the LUG, they earned full marks. Well this comic actually made me laugh, so it’s a winner. I’ve only been to one con but yes, there was a cafe corner standard “town”. Good job on making recognizable buildings; I think it’s the movie theater, the firehouse, the Parisian restaurant, and obviously the merry go round. Who’s reigns supreme in boilerplate: town or train? Thanks. I LOL’d at this too after I got it done, and I don’t laugh at my own jokes too often. 1. You picked a great topic that was ripe for examination in a comedic way. Anyone who has ever attended a Lego convention has probably noticed at least one if not multiple versions of these Café Corner style train/town layouts. It’s a bad look in a setting that is designed to celebrate originality and creativity, anyone can build an official set and slap it down on the table. I’ll go a step further and say that this simple three panel comic is a much better delivery system to address the subject rather than a long form, long winded, Fire for Effect style examination that leaves no stone unturned an no term undefined. You said everything that needed to be said with an economy of style and verbiage that is to be applauded. 2. I wouldn’t have thought it possible to so expertly reduce a bloated 32 square foot diorama to a minimalist 6×11 stud vignette. The tiny version of the Marcus Garvey was especially delightful, it was instantly recognizable even if a few details were off. The greatest compliment I can give is that it made me want to immediately go to my collection and see if I could do any better at the same scale. I very much doubt it, but you inspired me to try. I do admit to being curious what the olive green 1×1 plate is supposed to represent on top of the plateau but it didn’t take away from my enjoyment of the model. 3. Your selection of minifigs was of critical importance to the success of the comic and you nailed it…well, with one exception. Your selection of laughing Samurai Jack for me was a clever interpretation of my Flickr avatar and the rest were just as good: the Amercian soldier from the Super Man set for Rutherford, the artist with his palette for roontRee and the drunken alien for Andrew Lee were all spot on. I don’t know any of the cats depicted in the middle frame but you captured the stereotypes, I still laugh when I look at the pig from Angry Birds, it was an unexpected delight, as was the dismayed Ted-fig. Even for a reader that doesn’t know any of the parties involved, I think the comic still works by showing a group of wacky characters having fun vs. a crew of less wacky characters having a less fun time. I could make the argument that the desk and wall are previously posted items. I won’t disqualify it because I’m not that kind of fussy pedant but it would probably make a difference if I was trying hard to choose between your entry and one where it isn’t an issue. 2.Although as I stated above I like the concept, the specific execution (much like your other comic entry) pandered a little too much to the judge’s ego and sense of self importance. Again you put me in a position where I wouldn’t feel good giving you an award because it was so tailored to my entertainment and my direct experience. The decision wasn’t quite enough to deny you victory, but it definitely worked against you and made victory an uphill battle. I know you’re not really in it to win it, you’re motivation is to have fun, support the contest and entertain the people, but these reviews are based on the assumption that the creator is all about the prize and I’d never feel good about giving it to an entry that makes me part of the story, it opens me up to accusations of cronyism. 3. I don’t think you put as much effort into the depiction of the Café Corner micro-model as you did with the Marcus Garvey diorama. The carousel was nice but without the text it never would have occurred to me that you were referencing a Café Corner layout. It was also missing a train, there is always a forgettable choo-choo rocketing around the block, well, at least 90% of the ones I’ve seen. I realize the point is to make the second model less interesting than the first, but I wonder if you could have made it a little more iconic? A tough task to be sure, but so was making the tiny Garvey. I’m still puzzling over your choice of the googly-eyed black dude on the left. When asked (by me) on Flickr, you explained that it represented the Ghanian crew of the Marcus Garvey or more confusingly Jeff Cross who is neither Ghanian or black. This matters not one single bit to the casual reader but it threw me off, causing me to pause and puzzle over the answer instead of flowing through. While you keep plugging away at all the other reviews, I’m going to address a few points here. Good 2): since your collab WIP was very much still a WIP when I started building, and there were limited WIP pics from croneys, I wasn’t sure what else to include (notice that I also included your back wall, that you ended up removing). The 1×1 olive was a guess at a cluster of trees or something. Bad 3) – the level of effort in that scene is representative of what actually occurred. The offense wasn’t limited to using modulars alone. They didn’t have enough stuff to fill the space, and it showed… badly. I did purposefully place one modular on the ground by my fig’s feet to imply the display wasn’t even being close to done. Whatever – I wish I had more brown figs to truly represent the crew, but that’s all I had. The connection to Jeff would be the carnal scowl that all of his various elemental avatars seem to have… Not all figs we’re supposed to represent someone, but when so many do, I can see how it begs the question on all the others (like the random pig from Angry Birds). Bottom line, I’m glad the comic got quite a few laughs. That, to me, is winning. Matango! Good 2): That makes sense, I did notice the wall but failed to make the connection that you were projecting forward with the tree cluster. I was obsessing over details, but I think that’s a sign that I really am paying attention with these reviews even if I miss the point occaisionally. It’s also the sign of a good comic that it made me dig in that deeply. Bad 1): I’m not sure that comparing the rules from this contest to the LSB conest really works for me. That Team category (if I remember correctly) explicitly stated that you had to use all three bikes, where the comic category for this contest does not have a similar requirement. I do get the thing about the scene actually occurring, it definitely makes sense int he context of the story, and you’re right about the minifig too. I think my complaint was a valid one, that third scene is not original work, it came after the other entry. But again, I’m not inclined to be that pedantic or fussy about the fine details and I won’t hold it against you when it comes down to the decision but it falls into the category of a negative observation for me. And yes, guilty as charged for my bikes being basically the same design with some cometic differences. It was a calculated gamble that gave me more time to focus on the backgrounds. I guess I missed the point on that one…doh! It was worse than I thought. This complains also falls into the category of not going to hurt your chances. I might abandon or more likely change the standardized review format next time around, finding 3 “bad” things might not be the best approach as it forces me to be hyper-critical. Whatever: The angry birds pig was an awesome WTF moment within the comic, well chosen. As Claude Akins once said…Ouch!